It’s half term and we’re supposed to be switching off, but this piece of news is so important, we felt we had to share it. The Supreme Court have just handed down a judgment on a case which queried the way the use of the Significant Harm threshold is used and whilst this could easily have been posted under a “Judge of The Week” post, for Lady Hale’s exquisite judicial power and sophisticated thinking, we thought it best on this occasion to say what is says on the tin, for the purposes of ease of reference. The matter went to the High Court, which stated that ” likelihood of significant harm can only be established by reference to past facts that are proved on the balance of probabilities. Mere possibility was insufficient.” The Court of Appeal then dismissed the Local Authority’s challenge and instead moved it up to the Supreme Court, which subsequently went on to dismiss the appeal by the Local Authority. We are told in the Supreme Court judgement that The wording of Section 31(2), which relates to the Significant Harm threshold, has been the subject of six appeals to the House of Lords and Supreme Court already, and is clearly a controversial and often misapplied and misunderstood tool for safeguarding children. This judgment seeks to clarify several aspects of the threshold and is a must-read. The main judgment is given by Lady Hale, and agreed for the most part (with minor exceptions which you can read about in the text of the judgment itself), by several other judges (all listed in the judgment too, of course). 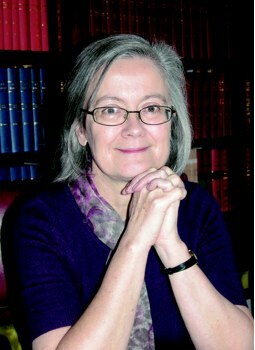 As an aside, the last few days has given way to some wonderfully refreshing, clear thinking in judicial circles, and whilst we have always taken the view that Lady Hale is one of our finest judges in the family justice system, she is joint Judge of the Week this week, for her fine reasoning in the Matter of J. Can you imagine a policeman going to a judge and saying; “I want an arrest and detention warrant for this man because I believe that at some point in the future, he may (or equally may not) rob a bank or commit a serious crime? Not that hard to imagine when social workers are doing it every day. Worse yet, parents and children are given a life sentence with forced adoption. Kudos to this wise Judge, she realizes that the Though police are operating illegally. Is this judgment basically saying that it is wrong to make decisions on a balance of probability? I think what the judgment is saying is that the significant harm threshold must be based on facts that have been proved on a balance of probabilities test. Facts are not proven in the family courts’ decisions are made on a balance of probability. If an accusation is made it is taken as fact. I have just had a freedom of information request reply which says my local court has only referred 1 case of perjury to the police in the last 5 years. False allegations of domestic violence and child abuse are used in the family courts on a daily basis right across the country by resident parents (mothers in the vast majority of cases) to dictate the outcome of contact and residence applications with impunity. The family courts view separating couples as two legal components: the ‘resident parent’ and the ‘non-resident parent’ (who does not live with the child). Although these two legal concepts might sound similar they are treated completely differently in the family courts. The only legal right a non-resident parent has is they can apply to the courts for contact. They do not have any other significant or presumptive rights over their children. Most people believe they have the right to be presumed innocent until proven guilty in a court of law if they were accused of domestic violence or child abuse given they are criminal offences. However, this principle only applies in criminal trials which have to prove a person is guilty beyond a reasonable doubt. It does not apply in the family courts which are civil proceedings where the best interest test is applied to all decisions which are made on a balance of probability. Family court judges do not believe it would be in a child’s best interest to question what the resident parent has said (to see if it is true or not) because they claim do so would undermind their authority as the primary care giver. You might wonder how any decision could ever be reasonably considered as safe and in a child’s best interests if they do not check. As a result of being separated from the father, children are placed at higher risk of child abuse, academic difficulties, conduct problems, and involvement with the criminal justice system.